Chrissie Hynde came to fame as the front woman for The Pretenders. 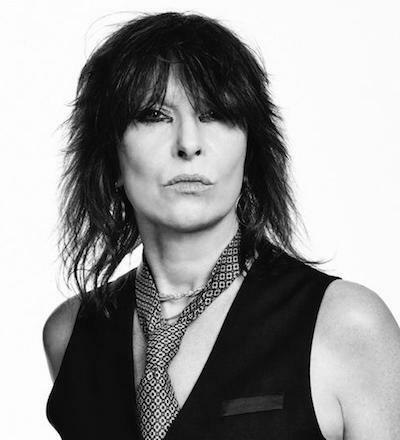 Born in Akron, Ohio Chrissie was one of the leading women in rock in the 1980s and ’90s as the lead singer of The Pretenders. After studying art at Kent State University for a time, she took off for London, England, where she discovered the emerging new rock genre called punk. The band got together in the late 1970s and released a self-titled album in 1980. Hits “Brass in Pocket” and “My City Was Gone” became rock anthems in the 1970s and ’80s. Chrissie is an animal rights activist and a supporter of PETA and animal rights group Viva!. Her memoir Reckless: My Life as a Pretender was released in 2015. She came to Borris in 2016 to share her story.